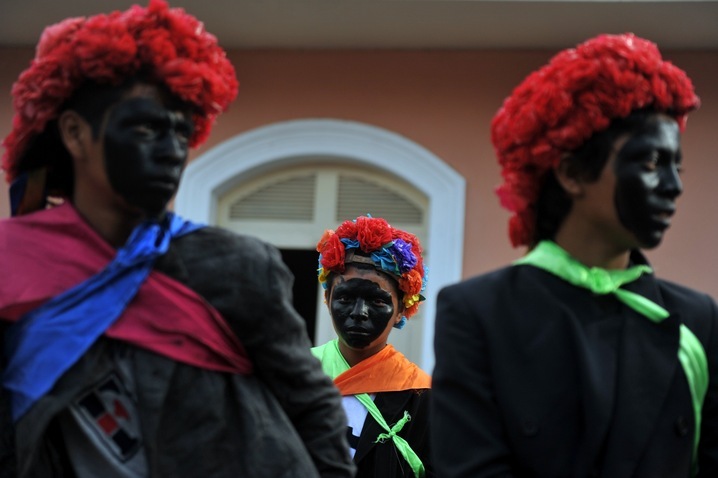 Three boys wait to take part in the carnival at the IX Poetry Festival in Granada, Nicaragua, on Wednesday. This year’s festival is held in honor of poet Ernesto Cardenal. Photo by Hector Retamal/AFP/Getty Images.